Special adaptor piece for the Ultra 2000 waterchiller. This adaptor is installed replacing the original, larger connector of the waterchiller. It seals tightly with the original seal included with the waterchiller and is fixated by the plastic union nut. For full adaptation to G1/4" threads of one waterchillers two of these adaptors are required. The adaptor can be installed replacing the original connector of the waterchiller. 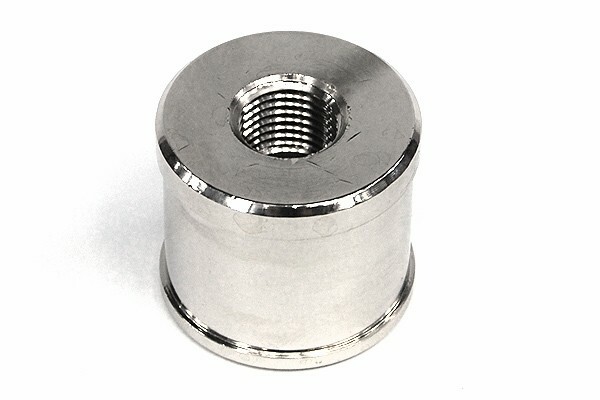 To do so it is necessary to remove the original seal from the standard connector and reinstall it together with the adaptor piece and fixate both with the standard plastic union nut.